The Philippine Council for the Advancement of Association Executives (PCAAE) in cooperation with the HelmsBriscoe www.helmsbriscoe.com and Manila Marriott Hotel http://www.marriott.com/hotels/travel/mnlap-manila-marriott-hotel/ organized a seminar on “Association and Alliances: A Strategy of Value” on February 12, 2015 at the Manila Marriott Hotel with 70 participants attending. 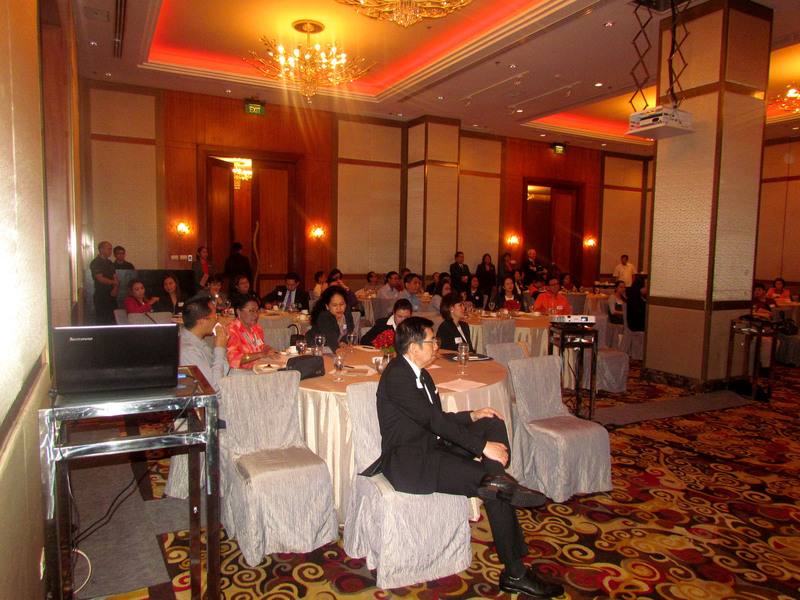 The General Manager of Manila Marriott Hotel welcomed the participants and presented to the audience the soon-to-be-opened 31,183 sq. ft. Marriott Grand Ballroom. Mr. Richard Harper, Executive Vice President of HelmsBriscoe made a live audio presentation from the U.S. on “Associations Goals and Strategies” where he discussed the value of face-to-face association meetings, the goals that an association needs to achieve, and the challenges facing associations today. Ms. Marisa F. Crame, Senior Director, Global Accounts of HelmsBriscoe, introduced the company and the services that it provides to its corporate and association clients around the world. Among others, she mentioned that HelmsBriscoe offers free technical assistance to associations such as negotiations with hotel venues, contract templates and events management advice, using its global buying power and reach as well as proven expertise in the MICE sector (meetings, incentives, conferences and exhibitions). Ms. Karen Miranda, Tourism Promotions Board (PTB) of the Philippines, updated the participants on the activities of the tourism agency, the growing tourism industry in the country and its future plans.